Another first for me:). This time it's Cinccino^_^. 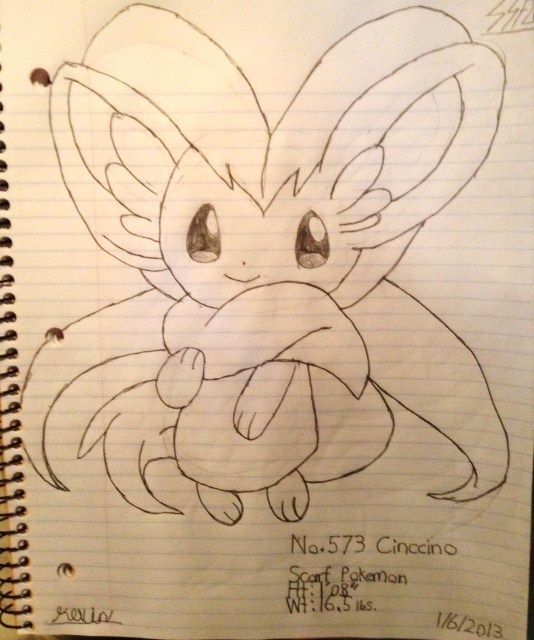 Cinccino is another Pokemon I really like:). I like them because they are oh so cute and fluffy XD. I went by a picture on my iPod as well as a picture from my Pokemon Black & White Pokemon handbook when I drew this. Did you all know that 75% of the Cinccino you'll in encounter in either Pokemon Black or White version will be female? It's true:). Sorry for the weird lighting. This is a photo of the actual drawing, not a scan.